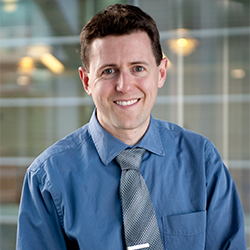 Dr. Adam Green is an Assistant Professor of Pediatrics and investigator in the Morgan Adams Foundation Pediatric Brain Tumor Research Program at the University of Colorado. He did his undergraduate work at Dartmouth College and earned his MD from NYU School of Medicine. He then served as a pediatric resident and chief resident at Children’s Hospital Colorado, followed by fellowship at Dana-Farber/Boston Children’s Cancer and Blood Disorders Center, where he trained in the labs of Andrew Kung and Stuart Orkin. His lab investigates genetic, epigenetic, and direct treatment susceptibilities of pediatric high-grade gliomas using patient-derived cell culture and xenograft models, as well as resulting early phase clinical trials.